Fishing Montague Island or one of our other close reefs. 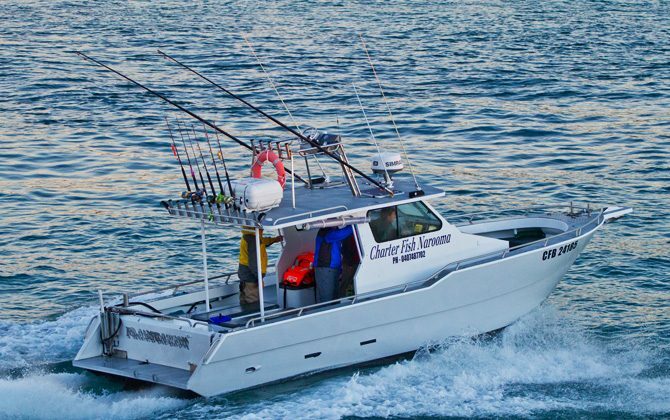 Chasing King Fish, Bonito, Morwongs, Snapper, gummy sharks Flathead, and many other reef species. 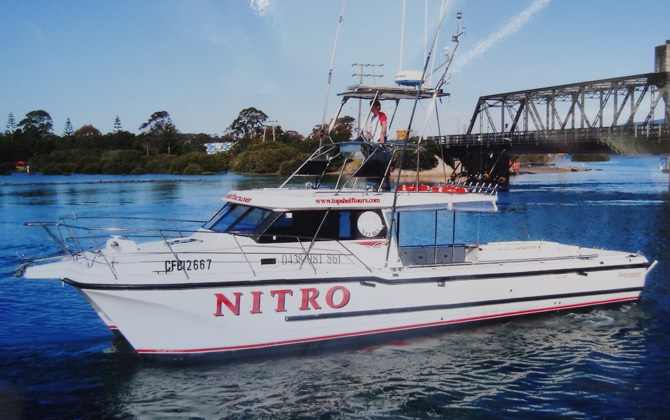 2 purpose built fishing boat Nitro and Playstation. We have a range of charter options and can cater for small and large groups, private & shared charters. We supply all tackle, bait, fishing licence, light refreshments and drinks and we will also give you a hand to clean your catch! Departs in the afternoon from Bluewater Drive Narooma (Look for the Yellow Flag).